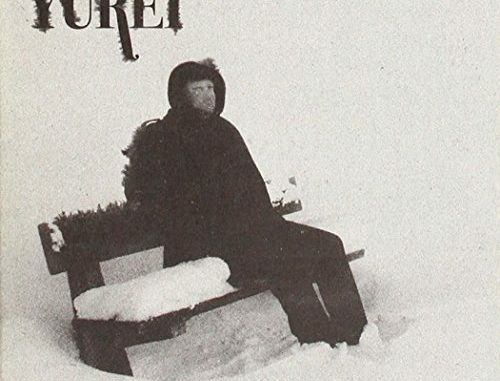 Since we have featured an interview with Norwegian multi-instrumentalist composer Bjeima in the past, this will permit me to avoid spreading unnecessary information about Yurei, one of his one-man bands. Hailing from Norway, this rather obscure project has been lurking for years within the secrecy of a few friends who were in the know, at least right until nowadays, as 2010 welcomes Yurei’s first album, Working Class Demon, out on Adversum Records. While his (very) close affiliation with Virus & Ved Buens Ende’s disharmonic legacy may turn off Vicotnik and Czral’s most passionate defensemen, on the other hand, I would say, in Bjeima’s defense, that he does this musick only to please himself and has no ambitions whatsoever to come out sounding original or avant-garde. So yes, if you are fans, it will remind you of the aformentioned bands and perhaps even shock you at first, but in order to remain fully sensitive to Yurei’s magick, I suggest you should forget about comparisons for an hour and just go with the flow of the musick as it comes. At the end of the day, as my review will try to make it clear, Working Class Demon mysteriously insinuates more than the sum of its local inspirations. And to keep up with the band’s enigmatic influx, I have also decided not to describe the songs themselves but instead to concentrate myself on the musical nature of Yurei at large. The album is indeed infused with variations from one song to the other but, at the same time, as a whole, it feels quite streamlined and defined. Therefore, it’s interesting to note that the bass, guitars, drums, vocals, other peculiar devices, mixing and mastering have all been conceived and performed by Bjeima, which in my estimation is not solely a technical accomplishment in itself, but also emphasizes Working Class Demon‘s strong do-it-yourself homogeneity of work. Everything, so to speak, feels like it’s being pulled in the same direction, from the same source, and I think the resulting music actually gains much depth and conviction because of that. Stylewise, during my listening sessions, I was thinking slick Art rock, dissonant un-Metal and Prog lounge or something along these lines. I say un-Metal, due to another aspect of Yurei which is worthy of mention, that is its almost literal absence of Metal as what we usually expect the genre to sound like. In fact, most of the music will most probably vaguely remind you of some obscure and disharmonic fourth wave Metal, though the varied instrumentation, the exotic compositional arrangements and the buzzy cristal clear production (the way each instrument stands out) kind of prevent you from tagging this musick Metal at all. With that said, Yurei’s compositions nevertheless are very (somber) riff-oriented, with the guitars swirling and whirling around the independent, gloomy bass murmurations, so the almost rural connections with Rock and Metal’s structuring habits are never too far away. Unavoidable to mention, mostly mid-tempo throughout, Bjeima’s rhythmicity behind the drums is breathtaking, as his offbeat syncopations bring to mind both the warm groove of untriggered, late-night live big band Jazz and RIO’s colorful progressive playing. His musick highly benefits and feeds from this, as it gives Yurei sort of a swinging beat. On a deeper, more emotional level, Working Class Demon mainly underlines accents of contemplative melancholy, grinning folly and buoying disarray, all of which, at some point or another, are examplified through the fairly theatrical (sung and grim) vocal performances. So despite its (too) obvious references to Ved Buens Ende and Virus, Yurei’s music achieves to carry the listener beyond the usual genres and into a spiraling world of strange beauty and genuine atmosphere. Needless to say, a lot of work and time must have been spent to create these weird little songs. I suspect Bjeima of being a musician who enjoys to constantly challenge himself, so I wouldn’t be surprised if from here, Yurei keeps on travelling in many other dimensions of musick. As for now, you are free to enjoy what this Norwegian working class demon has brought from his inner shadows on to the volcano’s piled lava of bizarre records. Count me in as a fan.